We’re past the halfway point in this year’s Girl Scout Cookie Program, and girls are putting their newly acquired business skills to work. Inventory management is key for girls and troops. Troop Cookie Managers should check in with families and redistribute cookies among the troop as needed. Before ordering more cookies from your local cupboard, reach out to troops in your service unit for troop-to-troop transfers of inventory. 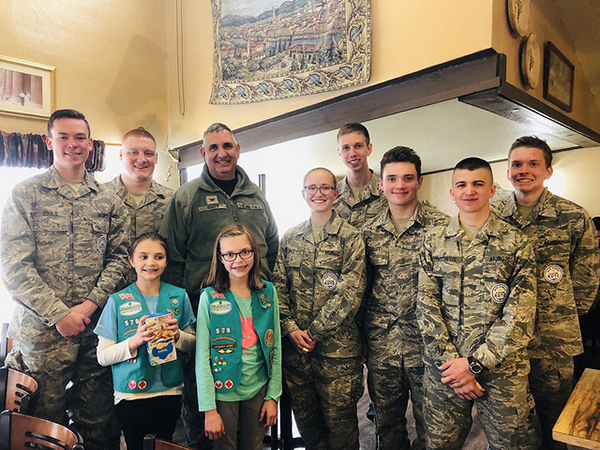 Troops should not hold onto Hometown Hero cookies; you will be able to pull additional cookies to fill Hometown Hero orders or use any remaining inventory at the end of the program for these donated cookies. The Uniform to Uniform is a new patch program for the 2019 Girl Scout Cookie Program. 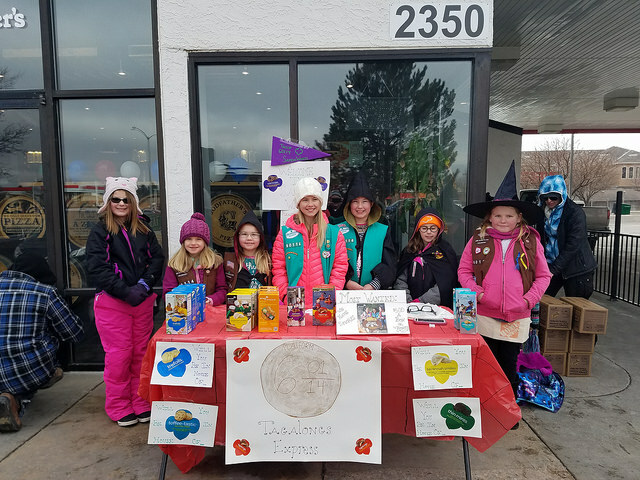 Colorado Girl Scouts are encouraged to invite uniformed personnel, such as law enforcement, firefighters, EMTs, etc., to visit them at their cookie booths. This is an opportunity for Girl Scouts and the public to learn more about the work these amazing women and men do for our communities. The first 200 Girl Scouts to earn the patch will receive a FREE patch. (Note: This patch has proven quite popular and they’re going fast, so don’t delay!) Learn more. Didn’t qualify for a free patch? You can purchase them from the GSCO Retail Shop. Digital Cookie is a great way to increase Gift of Caring sales! Use the platform to send emails to friends and family asking them to provide a sweet treat to military and other uniformed personnel while helping your troop reach your goals! The voting for the Bling Your Booth contest ends at 9 a.m. Thursday, Feb. 28. All of the entries have been uploaded to the Girl Scouts of Colorado Facebook page and are part of the album: Bling Your Booth Challenge 2019. Tell your friends and family to vote for your entry by simply clicking “like” or reacting to it. The photo that receives the most likes and reactions by February 28 at 9 a.m. wins! The top prize is $200 in Cookie Credits! From Grand Junction to Colorado Springs to Greeley and Denver, GSCO G.I.R.L. Media Stars have been busy promoting the Girl Scout Cookie Program. Interested in being a GSCO G.I.R.L. Media Star? Email Public Relations Director AnneMarie Harper at annemarie.harper@gscolorado.org. Did you Bling Your Booth? Thousands of Girl Scouts were out in front of grocery stores this weekend for the start of council booth sales! We saw many creative themes and some amazing sales pitches! Keep up the good work. Did you #BlingYourBooth? Don’t forget to send a photo to AnneMarie Harper at annemarie.harper@gscolorado.org by February 21. All of the entries will be uploaded to the Girl Scouts of Colorado Facebook page and be part of the album: Bling Your Booth Challenge 2019. Tell your friends and family to vote for your entry by simply clicking “like” or reacting to it. The photo that receives the most likes and reactions by February 28 at 9 a.m. wins! The top prize is $200 in Cookie Credits! With the start of council booths, it’s a good time to remind girls and families about booth etiquette. Girls should be polite and thank people whether they purchase or not. Be courteous to arriving Girl Scouts and have your table packed and ready to move at the end of your time slot. Clean up all trash and remove all empty cases. Remember that girls make all sales, but an adult should have the money on their person at all times. Every cookie booth is an opportunity to be an ambassador for the Girl Scout Leadership Experience. Many times Girl Scout alums will stop to share their experience with girls, and sometimes families with young girls stop by to ask how they can get involved. Others are curious about what your girls plan to do with their funds. Whether you’re working toward a highest award, planning a Take Action project in your community, saving up for a big trip, or helping to pay for a summer camp experience, spread the word to all your customers. If families ask about how their girl can get in on the action you can direct them to our website, girlscoutsofcolorado.org it’s not too late — troops are forming all year long! The first weekend of booths have a way of depleting inventory so please check your inventory. Cookie Cupboards are open around the state if you need to restock. Check your local cupboard hours in eBudde and try to give one week’s notice for orders to be filled. You must put orders in at least 72 hours prior to picking up from the cupboard. If you need cookies before 72 hours, please work with families in your troop or other Girl Scouts in your area who may have excess inventory. Be mindful that many cupboards are managed by volunteers and will have varying hours. It is important to note that anyone who picks up cookies from a cupboard will need an eBudde password. Let’s celebrate National Girl Scout Cookie Weekend, Feb. 23-25, with GSCO’s new Girl Scout S’mores contest. 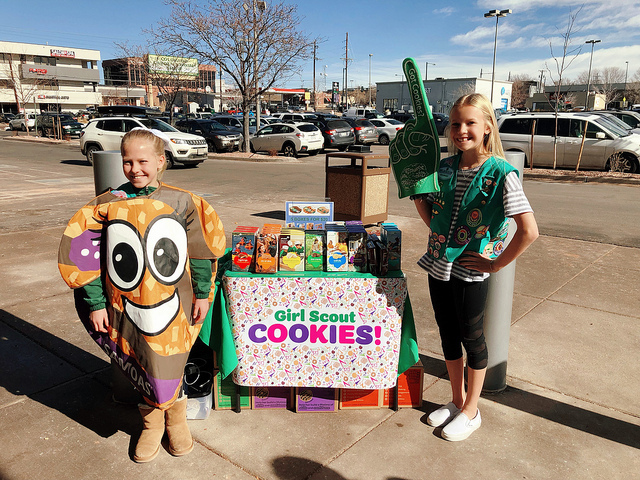 Together with Little Brownie Bakers, Girl Scouts of Colorado is announcing two new ways for girls and troops to win big when promoting Girl Scout S’mores cookies! Decorate your booth with a s’mores theme for a chance to win a Girl Scout Cookie costume and a jumbo cookie box filled with Girl Scout S’mores for you to enjoy. You are welcome to enter your booth into both the #BlingYourBooth contest and S’mores Booth contest as long as it has a s’mores theme. Two booths will be selected by an independent panel to receive the prize. The booth can take place at any time, but entries must be received between Feb. 23-25. To enter, just email a photo of your s’mores-themed booth to GSCO Public Relations Director AnneMarie Harper, being sure to include a little information about your troop, your cookie sales strategy, and Hometown Hero. The winners will be announced on Tuesday, Feb. 27. For troops, every two cases of Girl Scout S’mores taken from the cupboard starting today through the end of the cookie program will earn you an entry into a contest. Two troops will be chosen at random from the entries to receive a cookie costume and a jumbo cookie box filled with Girl Scout S’mores for their troop to enjoy. With the start of council-sponsored booths, it’s a good time to remind the girls and families in your troop about booth etiquette. Ask girls to be polite and thank people whether they purchase or not. Be courteous to arriving troops and have your table packed and ready to move at the end of your time slot. Clean up all trash and remove all empty cases. Remember that girls make all sales, but an adult should have the money on their person at all times. Salute America’s heroes by selling 50 (or more) packages of Gift of Caring Girl Scout Cookies between Sunday, Feb. 4, and Sunday, March 11, 2018. Any Girl Scout who does will receive a free, special-order fun patch after completing this online form. Be sure to include your goals and troop number, along with a fun pic of you and your troop. The deadline to complete the form is Tuesday, March 13, 2018. This patch is for Girl Scouts of Colorado girl members only. Are you ready for booth sales? 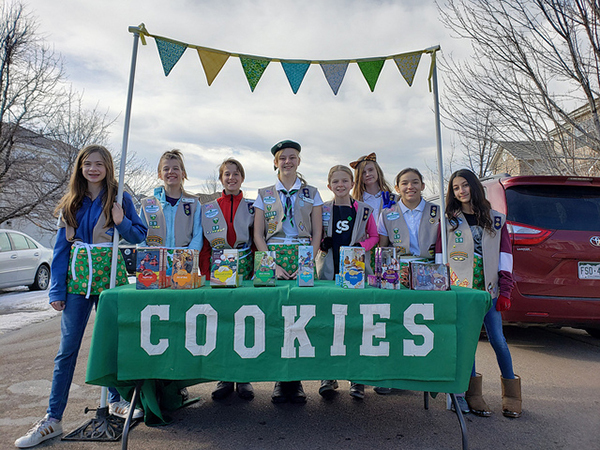 Friday marks the first day of council booths and Girl Scouts will be selling in front of grocery stores, big box retailers, and other retail locations across the state. This is our most visible time of the year, and a great chance for girls to practice their entrepreneurial skills! Share the Cookie Booth Readiness sheet with troop members for tips on how to answer “Why Girl Scouts?” like a pro! Make sure you head to your booths with everything you’ll need. You should print out and bring a copy of your booth sign-up confirmation, plenty of cookies, booth inventory sheet to track purchases or a device with a booth sale recorder app, table and chairs, tablecloth, $60 in change, pen to detect counterfeit bills, and any booth posters or decorations to bling your booth! Cookie Cupboards are open around the state if you need to restock your inventory. Please check your local cupboard hours in eBudde and try to give one week’s notice for orders to be filled. Be mindful that many cupboards are managed by volunteers and will have varying hours. It is important to note that anyone who picks up cookies from a cupboard will need an eBudde password. Girl Scouts of Colorado is piloting a new mobile app,Cupboard Keeper, that will make cookie pickup faster and more secure.Learn more about Cupboard Keeper. Remind the girls in your troop that Digital Cookie is an easy way to add to your sales. Girls can add a video message or a photo, share their goals and what they’ve learning by selling cookies, then share their digital cookie link with friends and family, even those living in other states. If you’ve got a great video, enter it into the Cookie Video Contest. Deadline to enter is today! Just submit your video, along with a brief story, through the Share Your Stories form on the GSCO Blog. Don’t forget to include your cookie goal. With council booths beginning on Friday, this is the perfect weekend to Bling Your Booth for the chance to win up to $200 in Cookie Credits! Pick a theme to decorate your cookie booth and post it to the Girl Scouts of Colorado Facebook page with the hashtag #BlingYourBooth. Entries are due Feb. 22. 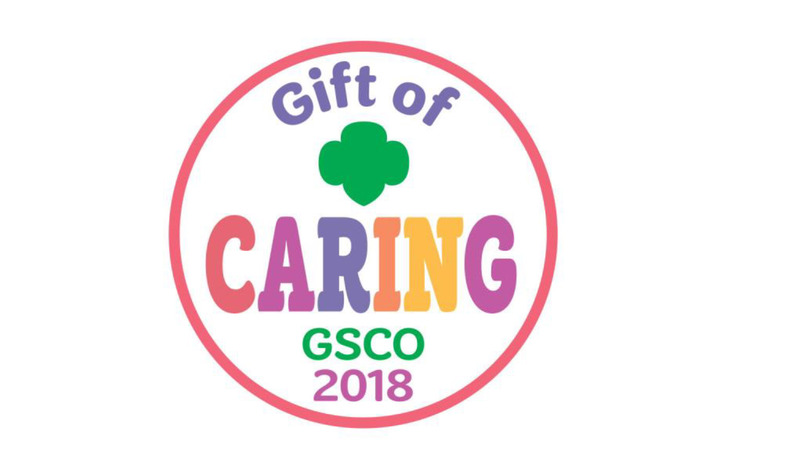 Welcome to the 2018 Girl Scout Cookie Program! Thanks to you, our amazing volunteers, the 2018 Girl Scout Cookie Program is ready to launch on Super Bowl Sunday. As a Troop Cookie Manager, you will receive the Smart Cookie email each week during the program. Our goal is to provide you with quick and easy tips and reminders to guide you through the Girl Scout Cookie Program. The Girl Scout Cookie Program is powered by girls – but they couldn’t do it without you! Your Starting Inventory Order has been placed and your pick-up location and time selected. Please make sure you have enough space in your vehicle to pick up your order. Check the chart on page 15 of the Troop Cookie Manager guide to see how many cases your car can hold. Review the pick-up rules: No children or pets, bring your delivery confirmation ticket, and please stay inside your vehicle. Cookie Cupboards open beginning Feb. 4- check eBudde for cupboard hours. Remind your girls and families not to take orders before Feb. 4. Make sure you have signed permission slips for all your girls and don’t forget to use receipts for all cookie transactions. If your girls have planned My Sales booth sites make sure they’ve been approved by the Service Unit Cookie Manager at least 48 hours prior to the booth. My Sales booths, door-to-door, and digital sales run Feb. 4 through March 11. Council booth sites are Feb. 16 – March 11. All rounds of booth sign ups have been completed and any remaining booths are available for sign up through the end of the sale. If your troop cannot staff a booth site, be sure to release it in eBudde so another troop will have the chance to sell there. Don’t forget Digital Cookie – girls can set up their site now and be ready to sell on Sunday. Families should have received a link to get started with Digital Cookie. If you did not receive that email, please contact inquiry@gscolorado.org. All volunteers who serve as Troop Cookie Managers must fill out a TCM agreement. All troops need to submit an ACH Authorization Form if they are participating in the 2018 Cookie Program. The ACH Authorization must be submitted each year. 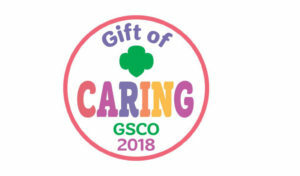 All individual Girl Scouts (girls not in a troop) must deposit any cookie money to GSCO’s Juliette CoBiz account. The Product Program Team can provide Juliette parents/guardians with deposit form. 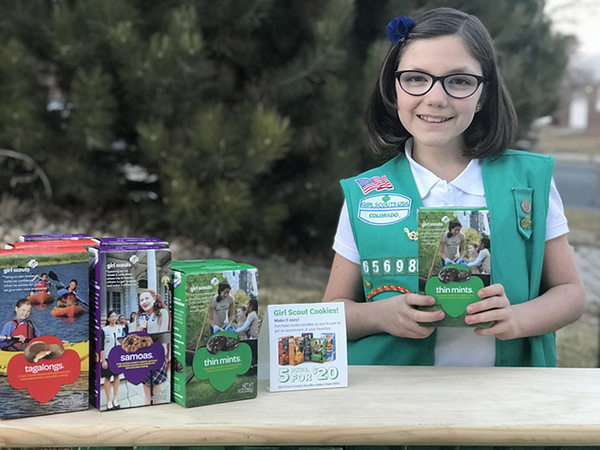 In celebration of the 2018 Girl Scout Cookie Program beginning on Super Bowl Sunday, Feb. 4, any Colorado Girl Scout who sells 50 packages (or more) of Girl Scout Cookies door-to-door on Sunday will earn a free fun patch! You can let us know you sold 50 packages by filling out this online form. Be sure to include your goals, Hometown Hero, and troop number, along with a fun picture of you and/or your troop selling. The deadline to complete the form is Tuesday, Feb. 6, 2018. While your girls and their families are out and about selling Girl Scout Cookies, they often get asked about Girl Scouting in general, and we want everyone to know that Girl Scouts is about so much more than selling cookies! Let’s show all our cookie customers how the world’s largest girl-led entrepreneurial program prepares girls to lead, learn, and succeed all while making it possible for them to embark on amazing adventures, form a lifetime of memories and unleash the power of G.I.R.L. (go-getters, innovators, risk-takers, leaders)™ to change the world. Share this two-sided sheet with girls and families for tips on how to answer “Why Girl Scouts?” like a pro!